Dozens of candidates are seeking office on a crowded Nov. 6 ballot that gained clarity this week after the extended filing period closed Wednesday. 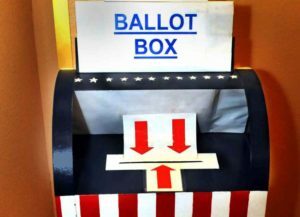 In addition to 15 tax measures and a countywide vote for the open district attorney’s seat, voters will fill posts on the boards of a variety of special districts and school districts, as well as settle races for Congress and the state Legislature. The DA’s race features prosecutor Lori Frugoli and former federal lawyer Anna Pletcher; they are seeking to take over for Ed Berberian, who is retiring after a 42-year career in the DA’s office. Rep. Jared Huffman, D-San Rafael, is being challenged by Garberville resident Dale Mensing, a supermarket cashier. Mensing, a Republican and erstwhile supporter of Donald Trump, was Huffman’s general election opponent in 2014 and 2016. State Sen. Mike McGuire, D-Healdsburg, is being challenged by Veronica Jacobi, a former Santa Rosa councilwoman. In 2017, Jacobi, a Democrat, competed against Assemblyman Marc Levine, D-Greenbrae, in the November general election after finishing second in the primary election. This time Levine is being challenged by Dan Monte of San Rafael, a retired general contractor and paratransit bus driver, who is also a Democrat. Among local contested races, there is a scramble for a seat on the Marin Healthcare District board, where incumbents Jennifer Rienks and Larry Bedard face challenges from Brian Su, Edward Alfrey and Melissa Bradley for three open seats. Also, a crowded field has emerged for the Marin Community College district board, where incumbents Diana Conti and Wanden Treanor face challenges from Andrew Cullen, George Rothbart, Robert Ovetz and Suzanne Brown Crow for three open seats. Nobody filed to challenge incumbent Larry Bragman on the Marin Municipal Water District board’s Division 3, but others face challenges: San Rafael schools trustee Greg Knell is challenging incumbent Jack Gibson in Division 1; and investment adviser Joby Tapia is challenging Cynthia Koehler in Division 4. In the North Marin Water District, Tina McMillan is challenging incumbents James Grossi and Richard Fraites for two open board seats. There are more races on Marin ballots in November than usual due to Senate Bill 415, a state law that took effect in January 2017. The law prohibits a local government from holding an election on any date other than a statewide election date if doing so in the past has resulted in turnout that is at least 25 percent below average. Here’s a look at other contested races across the county. • Bolinas Stinson Union: incumbents Jennifer Pfeiffer, Nathan Siedman and Stephen Marcotte plus Stephen O’Neal. Three open seats. • Dixie: incumbent Bradley Honsberger plus Megan Hutchinson, Mike Moaveni and Brooks Nguyen. Three open seats. • Kentfield: incumbent Heather Sridharan plus David Riedel, Sarah Killingsworth, Sharra Weasler and Davina Goldwasser. Three open seats. • Novato Unified: incumbents Maria Aguila and Derek Knell plus Diane Gasson, Jim Shroyer and Azadeh Hunter. Three open seats. • Petaluma Joint Union High School: incumbents Michael Baddeley, Phoebe Ellis and Sheri Clebowski plus Joanna Paun, Caitlin Quinn and Kimy Ruiz Seitz. Three open seats. • San Rafael City Schools: incumbents Rachel Kertz and Natu Tuatagaloa plus Jon Marker. Two open seats. • Sausalito Marin City: incumbents Joshua Barrow and Ida Green plus Jennifer Irwin, Bonnie Hough, Kurt Weinsheimer, Nathan Scripps and Peter Romanowsky. Three open seats. • Shoreline Unified, trustee area 1: incumbent Timothy Kehoe plus Charlie Kain-Williams, Heidi Koenig, Capella Parrish and Leslie Scott. Two open seats. • Tamalpais Union High School: Dan Oppenheim, Kevin Saavedra, Barbara McVeigh and Cynthia Roenisch. Three open seats. • Novato: incumbent Bill Davis plus Bruce Goines and Richard Hamilton. Two open seats. • Stinson Beach: incumbents Peter Sandmann and Mark White plus Will Mitchell. Two open seats. • Las Gallinas Valley: incumbents Rabi Elias, Russell Greenfield and Megan Clark plus Crystal Yezman. Three open seats. • Novato: incumbents Bill Long, Brant Miller and Carole Dillon-Knutson plus Gary Butler. Three open seats. • Richardson Bay: incumbents Sue Benvenuti, Frank Trusheim and Ronald Kosciusko plus Sudhir Daru. Three open seats. • No. 5-Tiburon: incumbents Catharine Benediktsson and Tod Moody plus Omar Arias-Montez. Two open seats.